Launch into action and adventure in the world of Star Wars! Discover the exciting stories of good versus evil in a galaxy of starships and vehicles. These mobile assault walkers operate as mechanized cavalry units, storming enemy positions and running down fleeing troops. 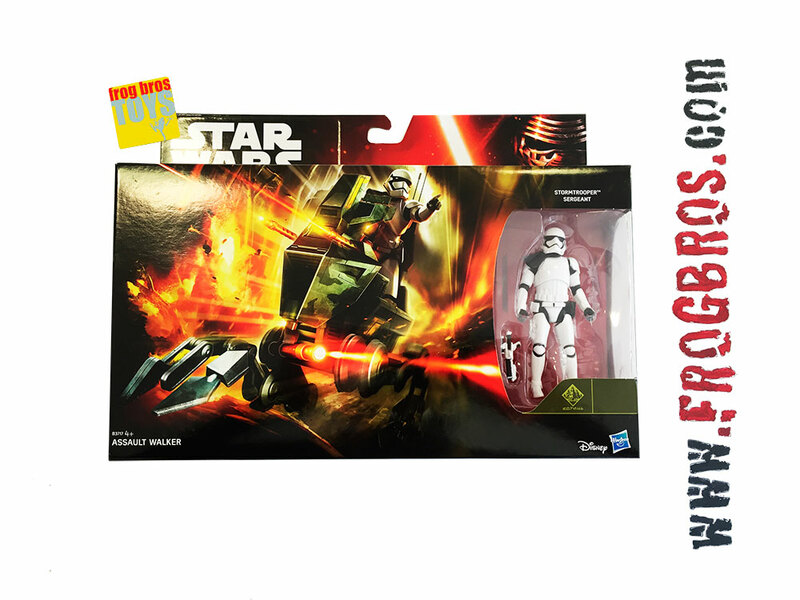 This 12-inch scale Assault Walker comes with a Riot Control Stormtrooper Sergeant figure and accessory. Collect and battle with these and other figures and vehicles from Star Wars. (Each sold separately. Subject to availability.) Star Wars products are produced by Hasbro under license from Lucasfilm Ltd. Hasbro and all related terms are trademarks of Hasbro.